People remember Sabrina the Teenage Witch, Bewitched, Charmed and Harry Potter. These are the witches that defined our childhood. But as the years wore on, vampires started to become quite popular with the creation of the Twilight series and the True Blood, and witches seemed to have fallen out of favor. But we have seen a resurgence of witches, with televisions shows like Witches of East End and American Horror Story: Coven. Here are 13 reasons why witches are having a comeback. Back in the days of witch burning, many women were wearing Puritanical garb. Now, witches are dressing in sexier clothing because they are either a) trying to attract men to curse b) feeling empowered as women and positively displaying their sexuality or c) because they can! 2. Unlike werewolves and vampires that don&apos;t exist, people actually practice witchcraft. The Wiccan religion has often been mistaken for satanic worshippers. Contrary to public belief, wiccan practitioners worship nature and the interconnections between human, nature, and spirits. 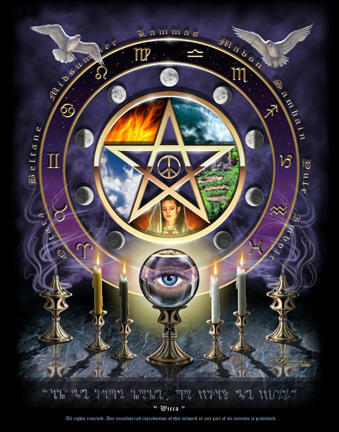 Wiccan individuals worship around the moon phases and can be in group or individualistic settings. Wiccan is a very peaceful way of worshiping and should not be misconstrued as satanic worship. Their creed is "If it harm none, do as you will." 3. They cast awesome spells. Expecto Patronum, Levitation spells, invisibility spells, spells to wake the dead (depending on what story you&apos;re in), and other spells are hallmarks of witchcraft. These spells make life easier in general for the witch, and harder for everybody else. 4. There are good witches. Glinda/Galinda the good witch from Wicked/Wizard of Oz, Samantha from Bewitched, Sabrina the teenage witch, Willow from Buffy the Vampire Slayer (save the one season) — all these women utilize their power for the betterment of man. Granted, sometime they may slant towards the evil side, but ultimately they choose the light side. 5. ... And there are bad witches. Just like their fairytale counterpart, there are bad witches, too. Maleficent, Nancy Downs (from The Craft), The Wicked Witch of the West, Bellatrix Lestrange, and many more. Unfortunately, these witches use their evil for the destruction of man. These witches often draw upon Satanic and demonic power, tapping into the most horrible forms of Dark Magic. 6. Modes of transportation are quite unconventional. What modes of transportation do vampires have? Most vampires just run and drive cars, whereas witches have multiple means of transportation. They travel by bubble, broom, vacuums, apparation/disapparation, Floo powder, Thestrals, or teleportation. Their preferred method is broom. Honestly, I&apos;d love to travel on a broom and play Quidditch. 7. Defying gravity is an area of expertise. One of my favorite songs from the musical Wicked is "Defying Gravity." The greatest things about witches is that, despite any obstacles, they overcome hardships, endure great things, and never let anything "bring[ ] them down." They made it through the Salem Witch trials, the destruction of the Hellmouth, and the rebirth of He-Who-Must-Not-Be-Named. 8. Companionship between witches is sacred. Anybody can relate to companionship, whether it be familial, romantic, or platonic. The relationship between witches and her fellow brethren epitomizes strong connections between individuals. Many spells, when casted with more than one witch, strengthen. Who cannot forget the Sanderson sisters? 9. Witchcraft has been around for centuries. While werewolves, vampires, and other fairytale creatures have been around for awhile, witchcraft has been around for about 40,000 years. Witchcraft has roots in paganism and has ties to the religion, Wicca. For something that seems to transcend time, it&apos;s no surprise witches are continually popular. 10. Witches just don&apos;t "sparkle." Unlike vampires, witches don&apos;t just sparkle, they can do much more. They can shapeshift, cast spells, transport in any method imaginable, control the weather, and do many other things vampires cannot do. 11. Witches have their own theme park! While it isn&apos;t necessarily specific to traditional witches, The Wizarding World of Harry Potter is where any person dreaming of going to Hogwarts may choose their own wand, visit Hogsmeade, and drink butterbeer. 12. They are featured in dozens of television shows throughout history. Witches have obviously made a comeback with shows like American Horror Story: Coven and Witches of East End. But people cannot forget Sabrina the Teenage Witch, The Craft, Bewitched (TV show and movie), The Secret Circle, Charmed, Eastwick, and other cultural references to witches. For a full list, visit this website. 13. And last but not least, Harry Potter! Witches have continually remained popular with the millennials (and everybody else) love for Harry Potter. Witches never really truly died down when vampires became the true craze, because Harry Potter fans have always enjoyed stories about witchcraft. 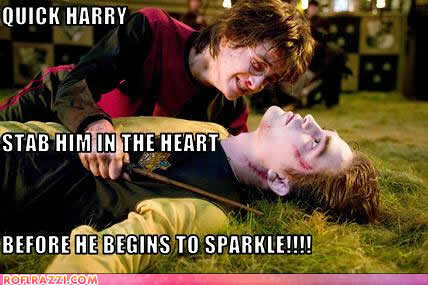 While the newer television shows feature darker tones, Harry Potter helped transition the gap while people momentarily enjoyed sparkly vampires. But now witches are on the rise again. Really, they never left.